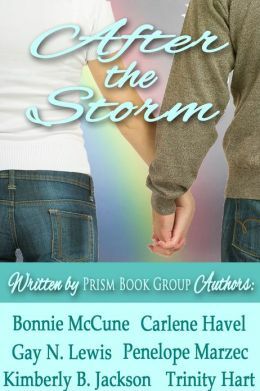 Prism Book Group authors did a series of round-robin novellas that tell the tale of a sweet romance between Rachel and Luke. In the first novella, Lightning Strikes, Rachel faces a power outage that brings her face to face with her annoying upstairs neighbor, Luke. An adventure in the storm draws them closer together and in the process of it all she discovers that he is her new boss! In the second novella, After the Storm, a dead body shows up as Luke and Rachel try to navigate their romance even as they work together. Can it survive when Luke is a suspect in a murder? 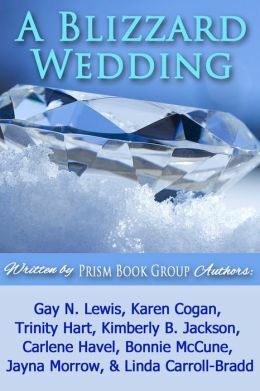 In the third novella, A Blizzard Wedding the classic “if anything can go wrong it will” happens in the midst of a snowstorm and just when it seems like their dream wedding isn’t going to happen their friends manage to pull it off. These are light reads and enjoyable and for free what more could you ask for? Kudos to authors: Carlene Havel, Bonnie McCune, Josie Riviera, Trinity Hart, Kim McMahill, Gay Lewis, Penelope Marzec, Kimberly B. Jackson, Karen Cogen, Jayna Morrow and Linda Carroll-Bradd obviously had some fun writing this. Not all authors are represented in all three books. The beauty of Prism Book Group (www.prismbookgroup.com) is that there is a community of authors who work to support each other, in writing, promoting and in life. These novellas exemplify the beauty of that.